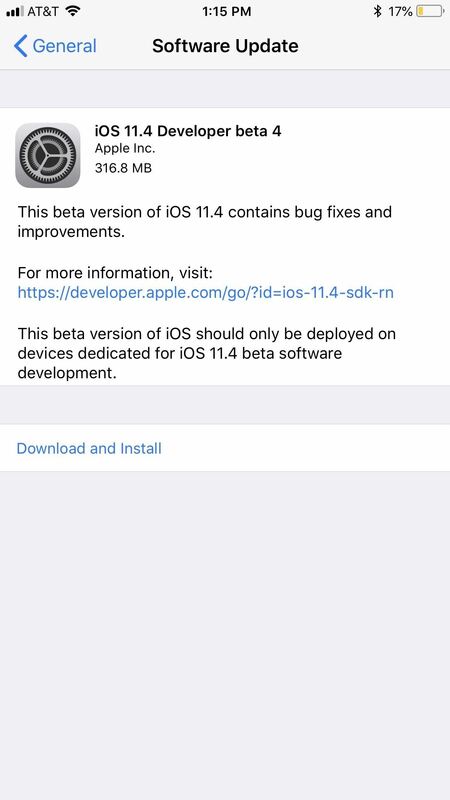 Apple released the fourth developer beta for iOS 11.4 on Monday, May 7, followed the next day with the public beta release. This update arrives just six days after the company seeded beta 3 to users, which fixed an 11.3 issue with 3D Touch, among other various bugs. You can download iOS 11.4 beta right now if you're a developer or public beta tester with a valid configuration profile. Just open the Settings app, tap on "General," then select "Software Update." Finally, follow the on-screen instructions to download and install iOS 11.4 beta 4 onto your iPhone. Facial landmarks identified by the Vision framework may flicker in temporal use cases such as video. Debugging a disabled Messages extension may cause Messages to crash. Workaround: Before starting the debug session, enable the extension by tapping the More (...) button to show the list of apps, then tapping the Edit button, and then tapping the switch to turn on the extension. 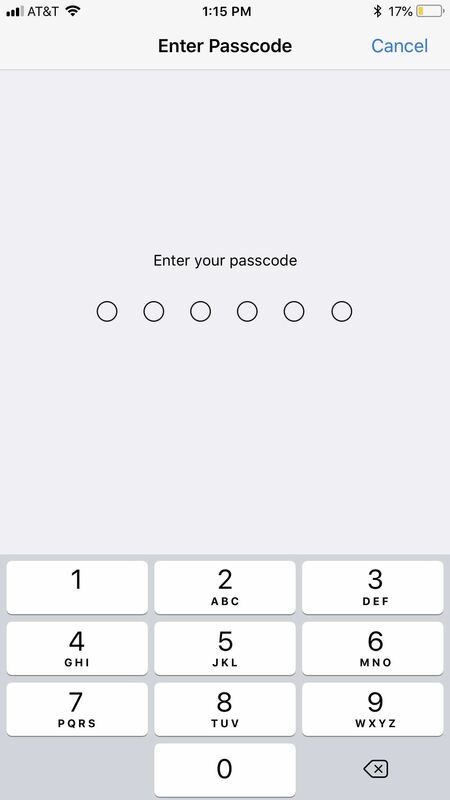 After a simulated iOS device starts up, it's not possible to pull down the Lock screen. It might not be the most exciting update to hit beta testers, however, users should snag software stability wherever they can find it; iOS 11.4's build started out frustratingly buggy. Luckily, with recent releases, Apple has greatly tuned up the experience. We're cautiously optimistic that iOS 11.4 could be the most stable iOS 11 release yet when it's ready. While iOS 11.3 may have brought more new features to the iPhone, iOS 11.4 is far from an empty update. Users can look forward to the highly-anticipated release of Messages on iCloud and AirPlay 2, which, although announced as part of iOS 11 in June 2017, have still not found their way to an official iOS release. Speaking of AirPlay 2, iOS 11.4 introduces new Siri controls for the new feature. Users can ask their iOS assistant to start or stop a song with any AirPlay 2-compatible speaker in the house, and from there, request that song be skipped, jumped forward or backward in time, added to Up Next, and more. However, it's possible these features won't make it to iOS 11.4 either. We expected both to appear with iOS 11.3, as Apple included them in 11.3's beta versions. Of course, 11.3 came and went, with AirPlay 2 and Messages on iCloud nowhere to be seen. Hopefully, this time around, Apple feels these two excellent features are fully baked.